Yolo Yacht Services is a totally mobile company offering boat and yacht detailing, maintenance and restorative services in the Palm Beach, Delray Beach, Boca Raton, Deerfield Beach, Lighthouse Point, Pompano, Fort Lauderdale, Dania, Hollywood, Hallandale and Aventura areas. We are boat owners ourselves, and we take pride in our work. We value our relationships. We constantly strive to improve and deliver personalized meticulous service at reasonable prices. 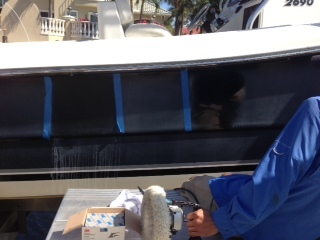 The price for detailing a boat depends on its size, its structures and components, the extent of its neglect and the procedures or the detailing program decided upon. Left neglected, a boat can be a financial nightmare to repair and eventually sell. Simply put, the failure to professionally maintain a boat leads to disintegration, devaluation and diminished boating pleasure for you and your guests. 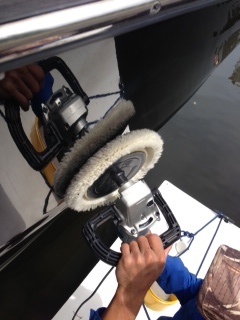 A clean boat is a happy boat! Free price quotes are available over the phone and email. We don’t advertise fixed prices because boats are maintained differently, condition varies and boat owners desire different levels of cleaning and services. We encourage you to fill out our QUOTE REQUEST form to help us better understand your needs. Whether it’s restoration, a one time pre-sale detailing or you want to keep your investment in pristine condition with a customized maintenance program, together we can design a cost conscious package. 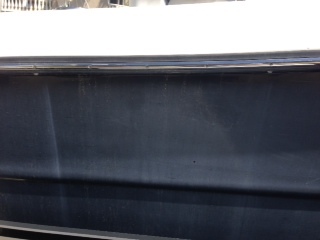 All exterior topside surfaces are completely dried to remove water spotting.